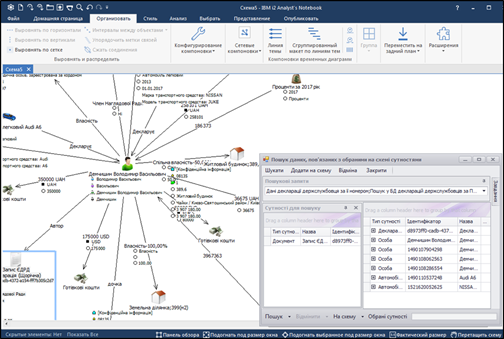 – is the solution for information search in the Ukrainian open-data sources, extracting information in the form of objects, attributes, connections, and downloading information to IBM i2 Analyst’s Notebook schemas for future visualization and analysis. 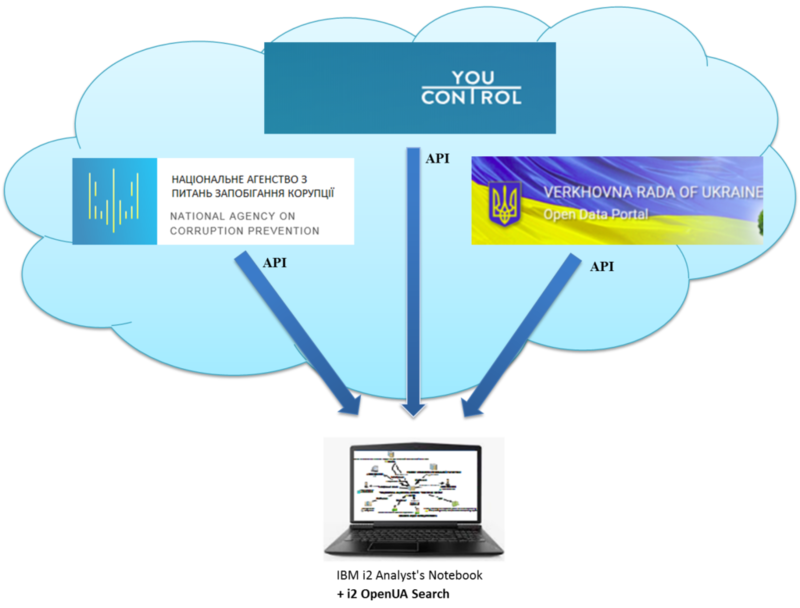 i2 OpenUA Search main purpose is getting data from the Ukrainian open-data sources to analyze obvious and hidden links between different research objects. This allows identifying hidden communities, organized groups, key objects and group leaders. i2 OpenUA Search is implemented as a plug-in for the IBM i2 Analyst’s Notebook visual analysis data environment. i2 OpenUA Search fully integrated into the IBM i2 Analyst’s Notebook interface. i2 OpenUA Search allows to enrich the information that comes from the different sources presented in the menu. Information is mutually complemented, because initially the lists have limited amount of information. I2 OpenUA Search allows receiving additional information. Thus, you can choose objects (for example, Companies) for more detailed information. Related search is connected. As the final result this information is divided into objects and attributes (phone number, address, etc.) More detailed information is final outcome.